I’ve been creating fun, social yoga events since 2012 when I graduated from yoga training at Asheville Community Yoga and earned my RYT 200 certification. I remember hosting my first yoga potluck when I was 24 and calling it “Union Yoga Unites.” Back then, I did not own Innercise Yoga, LLC yet, and I had no idea how real businesses operated. (Hint: There were already hundreds of “Union Yoga” brands all over the world and no domains left) It looks me quite a few months to create a new brand around my mission to spread yoga. I pondered for months about finding the right words that would brand what I believed to be yoga. And that’s how Innercise Yoga was born. 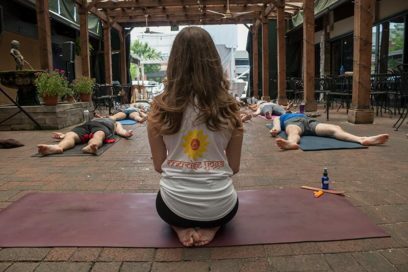 When I moved back to Atlanta in 2014, I began hosting what I called “Bend & Beer” — an outdoor yoga class, followed by beer and food bites from 5 Seasons Brewery, a hot local spot in Atlanta. In 2016, companies all over the Greater Atlanta Area began to contact me about teaching or hosting cool yoga events in their space. I taught at Sweetwater Brewery, festivals all over the Southeast, and even Atlanta Goat Yoga! In 2018, I decided to rebrand all my Innercise community events and call them “IY Socials.” An client and friend who’d been coming to my socials for years, Shanna, then came to me with a new idea. “What about yoga and a wine tasting?” she proposed. She had been working for an amazing charitable wine company that we dove into chatting up over glasses of rosé. In that moment, Valentine’s Vino Vinyasa was created. 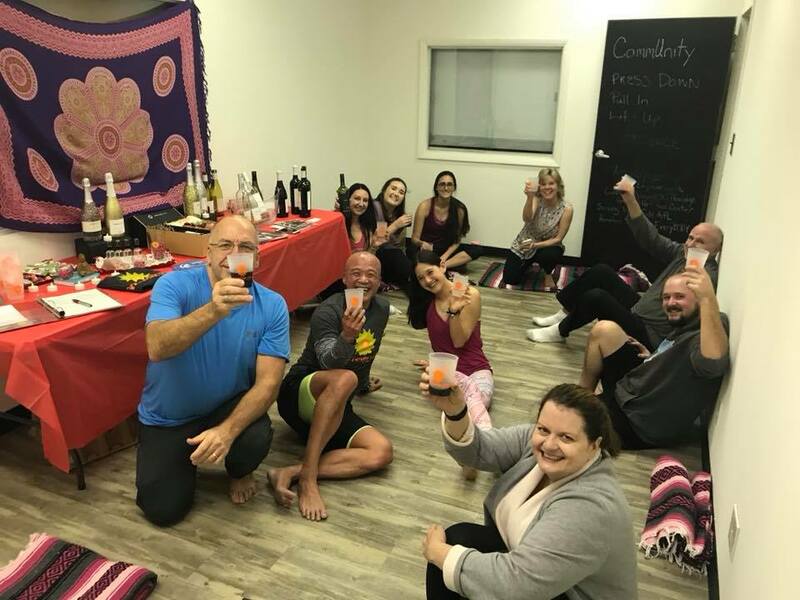 A yoga class followed by a complimentary wine tasting from ONEHOPE. ONEHOPE donates 10% of each bottle sold to a different charity. During the event, I was lucky enough to meet a few new students who were beginners to the yoga practice. “How’d you hear about the event?” I asked. “The AJC!” they exclaimed. I was SHOCKED to say the least. I asked her to send me the article to see what the feature was all about. She texted me the link and I was stoked to see they had used a picture from a previous Innercise event, referring to the business and personal name. See the article here! 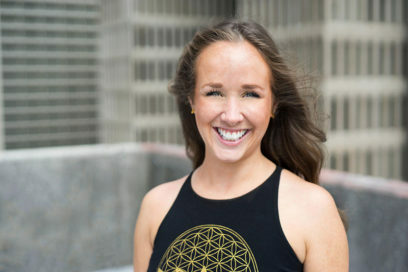 >> https://www.accessatlanta.com/entertainment/night-life/ways-atlanta-singles-can-embrace-and-actually-enjoy-valentine-day/kHZRsiOy5sWLHoHdGSHEoN/ <<This was my very first unknown feature for Innercise Yoga and I can honestly say, I felt really proud.